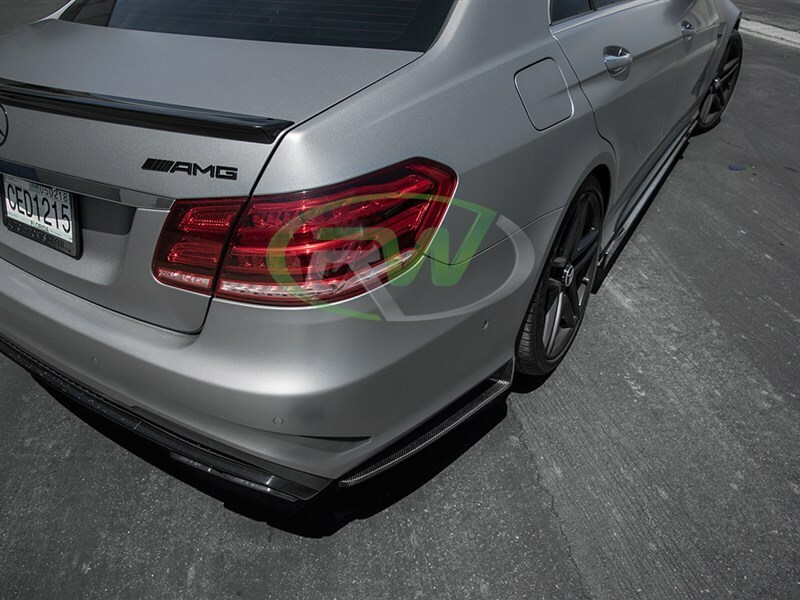 If you are running our new side skirt extensions for the facelifted 14+ Mercedes W212 E63 AMG then complete your look with a set of rear bumper splitters. 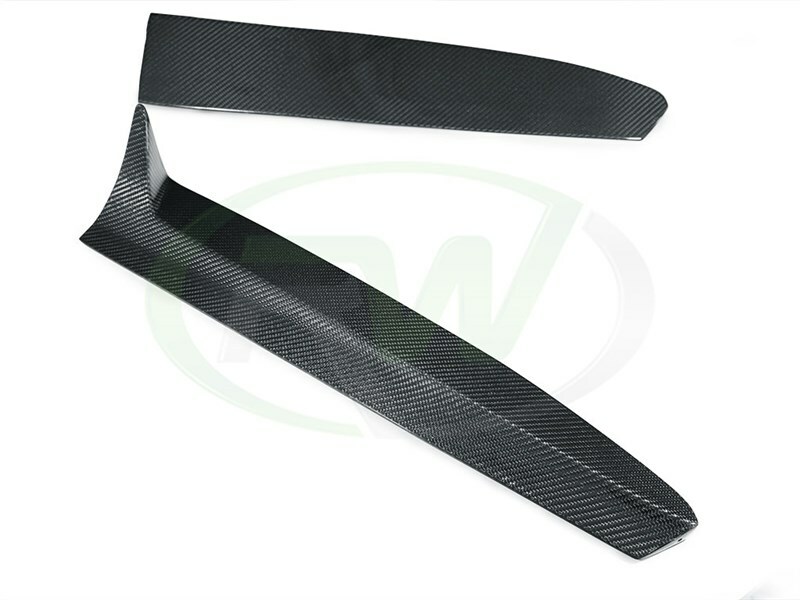 These are made using genuine carbon fiber fabric is a 2x2 weave pattern to match the rest of your RW Carbon Fiber Parts. They will installed using 3M double side tape and give you the perfect aggressive upgrade in minutes. 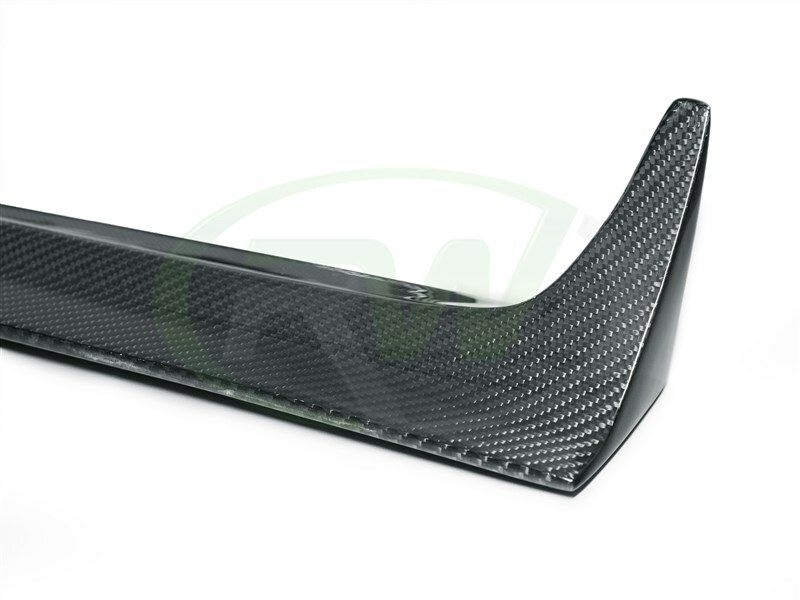 RW Carbon quality checks each and every set of rear bumper splitters before they are shipped out worldwide. Professional installation is always recommended for RW Carbon's products including these W212 E63 14+ rear bumper splitters. They will require the use of self taping screws. 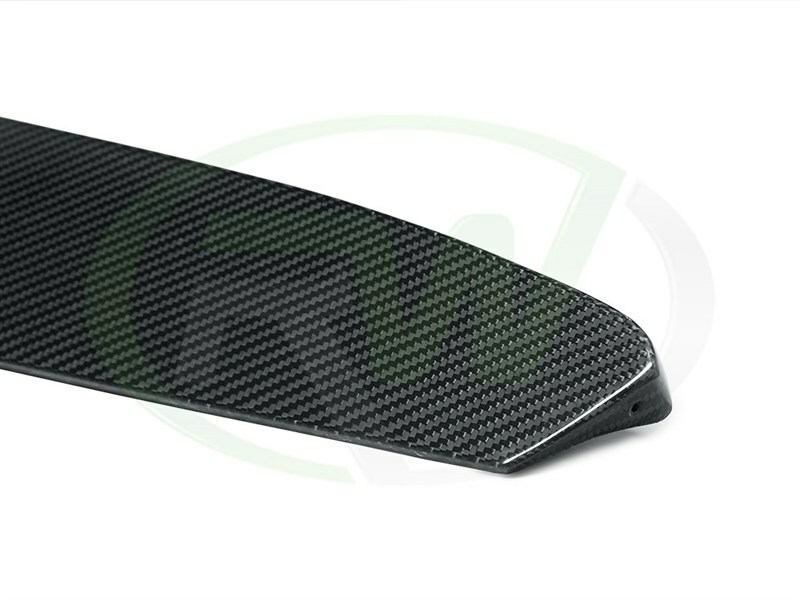 We are aware of the large amount of carbon fiber companies claiming they have the best carbon fiber parts. 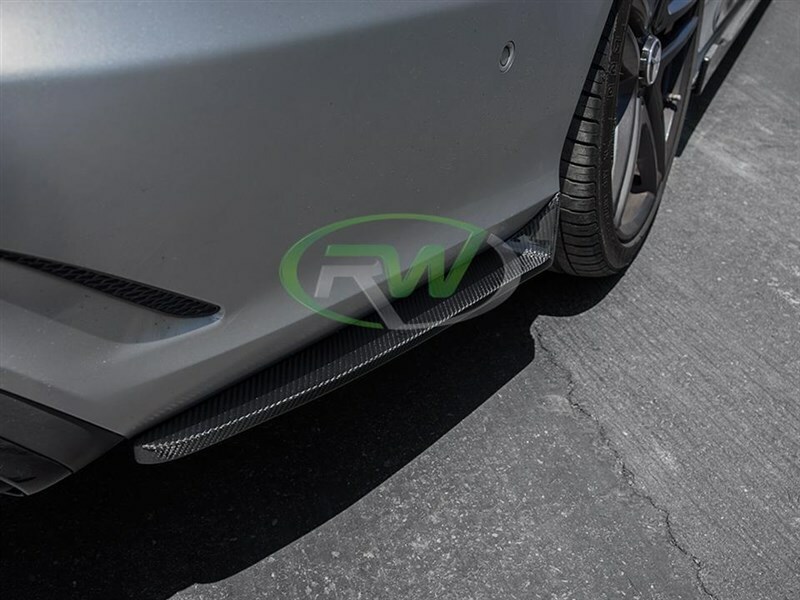 RW Carbon opperates different than these companies - We only sell carbon fiber which allows us to continue to produce the newest designs and invest in higher quality production methods which in turn means better looking items for your W212 E63 or E63S as well as more desirable designs. 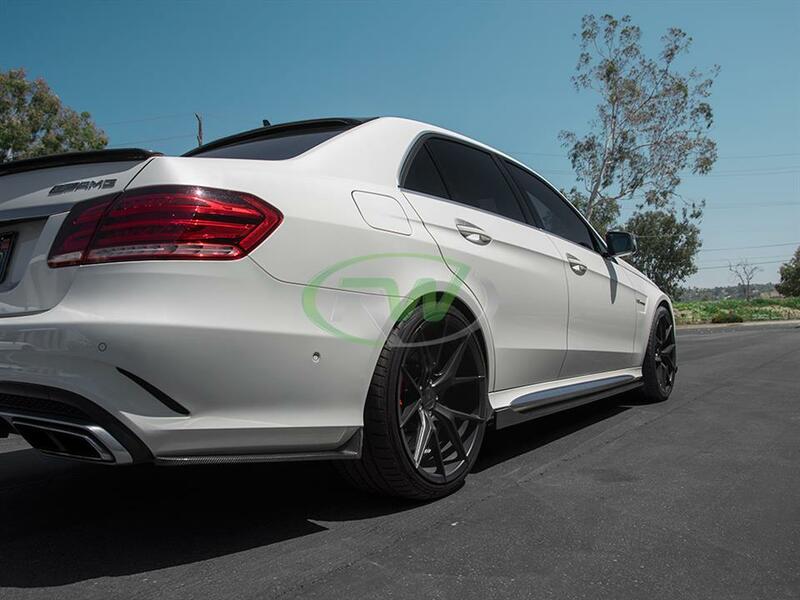 We inspect each set of E63 carbon fiber side skirts that leaves our Anaheim, CA warehouse. This ensures you receive an item that comes ready to install on your vehicle. Other companies do not inspect their items, and ship direclty from overseas meaning it is nearly impossible to return a poor fitting or poorly constructed item. RW is committed to providing you with the best quality carbon fiber items available for your E63 at very competitive price points.